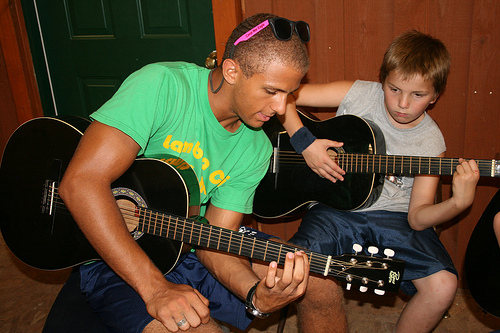 For those who want to try their hand at guitar, this class will teach basic chords, strumming patterns and even learn some of the songs we sing at Lifeline here at camp. If you know 4 chords you can play anything! Guitars are available for campers who do not bring their own. Beginning guitar player only. Come join me this summer at Camp War Eagle, check out the Guitar-Beginning.